Available February 2019. Colorado living at its finest! 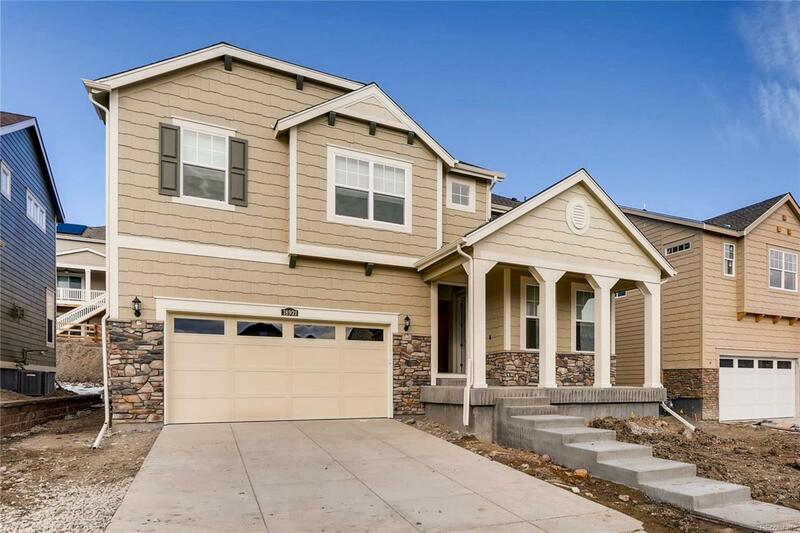 This gorgeous Huntington 2-story in the new Leyden Rock community features 4 beds, a loft, 3.5 baths, kitchen, formal dining room, great room, main floor study, unfinished basement and a tandem 3 car garage. The unparalleled beauty of Colorado is blended & showcased along with the most innovative homes, energy efficient technologies & modern conveniences bringing the best of both worlds together. Energy efficiency & technology/connectivity seamlessly blended with luxury to make your new house home. What some builders consider high-end upgrades, Lennar makes a standard inclusion over $35,000 value. This community offers single family homes for every lifestyle. Close to dining, shopping, entertainment & other amenities. Easy commute to DIA, Downtown Denver, Golden, Boulder & beyond. Come see what you have been missingtoday! Dont wait this community will sell out quickly!